Carwood Smith is a purposely intense firm employing less people than its competition, but some of the best people in the field. Thus with the added benefits of avoiding the complications of larger organizations and easy internal collaboration we can deliver a higher quality of work to our clients. The teams that are assigned to a search are flexible based on the nature of the task and the level of detail our clients require in a specific circumstance; most frequently however, a Director, Consultant and Researcher will be involved in projects. Whichever way the team is formed, each team member will contribute at each stage of a search or during one of our development programs. 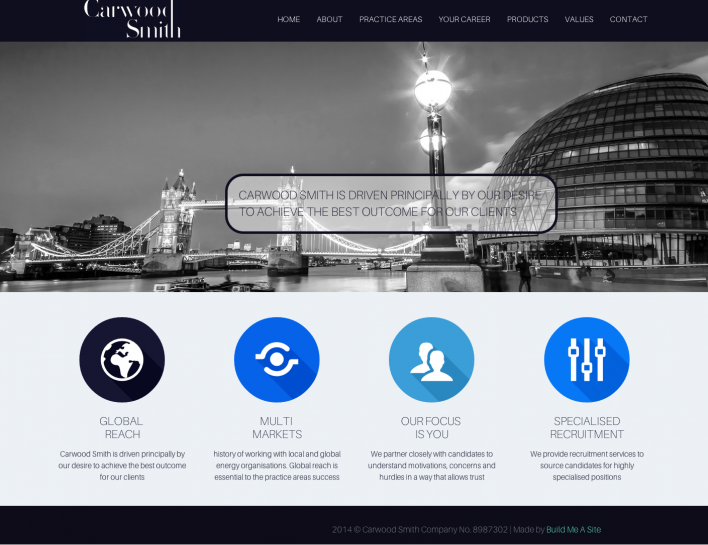 Every member of Carwood Smith is driven principally by our desire to achieve the best outcome for our clients. Sam Walton said, “Focus on something the customer wants, and then deliver it” we aim to emulate this Walmart philosophy. Click Here to see the carwood smith website.